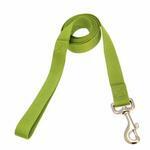 Add some color to your walks with our Zack & Zoey Parrot Green Nylon Leash. The yummy color will make your dog stand out. 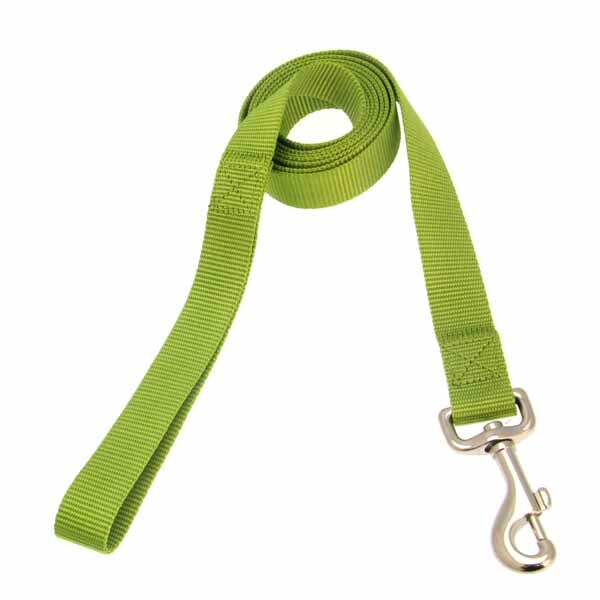 You will love the comfortable design mixed with a classic nylon dog leash. Available in multiple colors. 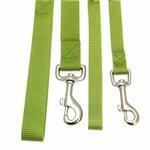 Matching couplers, collars and dog harnesses available too. Zack and Zoey Nylon Dog Leash - Parrot Green Customer Photos - Send us your photo! Posted On 04/26/18 by Sonya S from Catawba, NC Yes, Sonya S recommends this product! Great leash. You just can't have too many and the price is so reasonable. Posted On 02/19/18 by Whitney W from Saint Louis, MO Yes, Whitney W recommends this product! This leash was on sale so I got it for a great price - it is the 4 foot length which I prefer and the color was just like the photo and matched my dog's collar perfectly. Posted On 09/27/15 by joni k from Oak Harbor, WA Yes, joni k recommends this product! Got the Leash to match Gracie's Parrot Green Hoodie. She's on her 2nd one (Hoodie, not leash). It's perfect and the price was great!! Posted On 12/31/14 by Heidi Y from EVANSVILLE, IN Yes, Heidi Y recommends this product! We love the colors available in this Zach and Zoey leash (and matching collars). 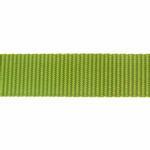 Ultra violet, bluebird, parrot green---just the color names made us want to get these! Have shopped at BaxterBoo.com multiple times. It has good choices of dog clothes. Shop early to get desired size(s).